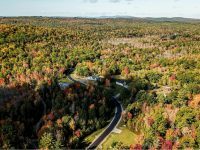 Established Country Subdivision … Lot 7! Lot 7 of this beautiful subdivision has 1.37 Acres. Recently hot topped. Enjoy the joys of country living (low taxes) but with the convenience of Sanford-Springvale amenities (new High School). For more information contact Carol at 207-608-8887 (Direct), or fill in the “Request More information” form on this page.